Though Sri Lankan food is very similar to South Indian food, it remains distinctly its own form of cuisine. Rice and curry is the Sri Lankan staple, though various kinds of bread, both roti-style flatbreads and even loaves of bread, are very common. 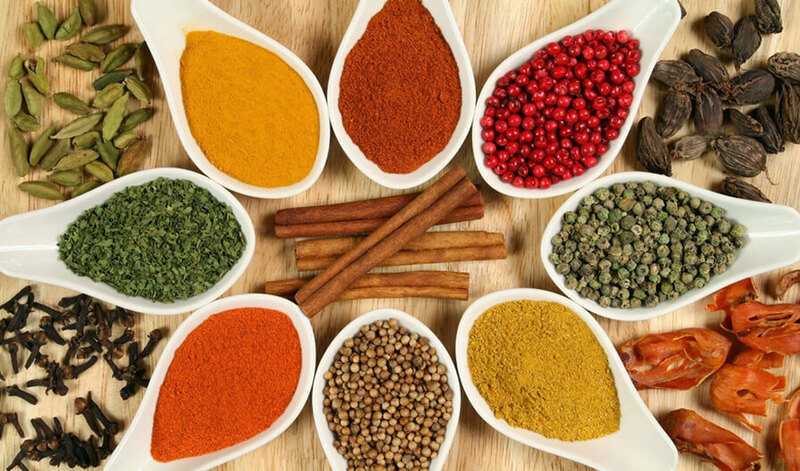 The spice cinnamon originated in Sri Lanka and was discovered by the Egyptians. The country still produces 80-90 percent of the world supply. An authentic Sri Lankan meal usually consists of generous servings of steamed rice, warm scoops of three or four different types of curry and crisp poppadums or dry fish, with traditional island sweetmeats rounding it all off. Rice and curry is Sri Lankan comfort food. A basic curry is made with coconut milk, sliced onions, green chili, and aromatic spices such as cloves, nutmeg, cinnamon, and saffron. Dhal curry is made from red lentils (masoor dhal) cooked in coconut milk. Onions, tomatoes and fresh green chilies, are sautéed and mixed with tempered spices like cumin seeds, turmeric, fenugreek, mustard seeds and pandan leaves. This is even more delicious when made in an earthen pot. 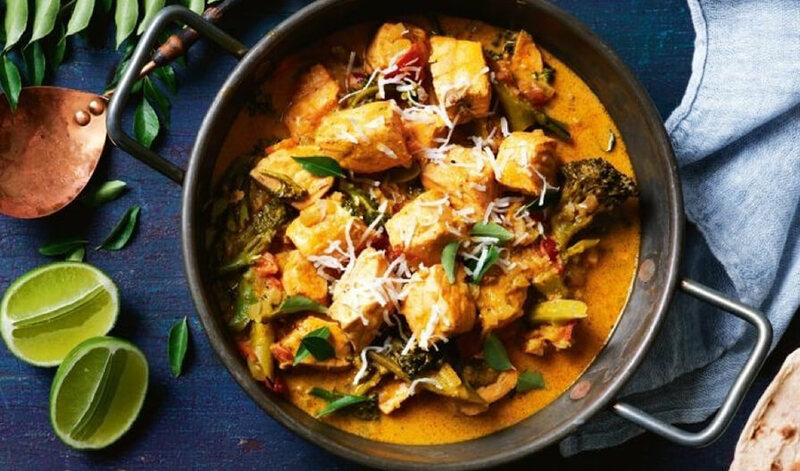 Fish ambul thiyal (sour fish curry) is a peppery fish dish originated in Southern Sri Lanka as a method to preserve fish. Cubed fish (usually tuna) is sautéed in a blend of spices including black pepper, cinnamon, turmeric, garlic, pandan leaves and curry leaves. The most significant ingredient is dried goraka, a tamarind-like fruit that gives the fish its distinctive, tart flavour. All the ingredients are simmered with a small amount of water and cooked until the liquid reduces. This allows the spice mixture to coat each cube of fish and makes a dry curry. 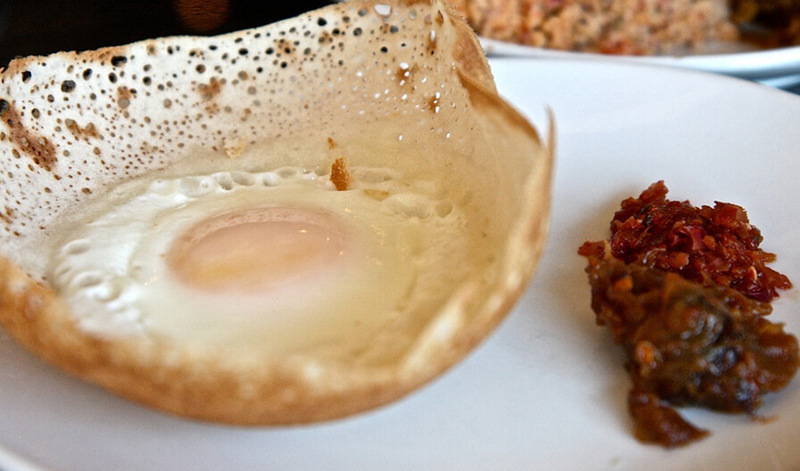 Hoppers are basically the Sri Lankan version of thin pancakes with crispy edges. These crepe-like bowls are made from fermented rice flour, coconut milk, coconut water and a little sugar. A ladle of batter is fried in a small wok and swirled around to even it out. An egg is cracked into the bowl-shaped pancake as it cooks. Traditionally, hoppers were cooked at home over coconut-shell embers. Egg hoppers are garnished with lunu miris – a sambol of onions, chilies, lemon juice and salt. Pol sambol, which might also be called fresh coconut relish, is a simple blend of finely grated coconut, red onions, dried whole chilies, lime juice, salt and a little fish. It is sprinkled over almost everything! 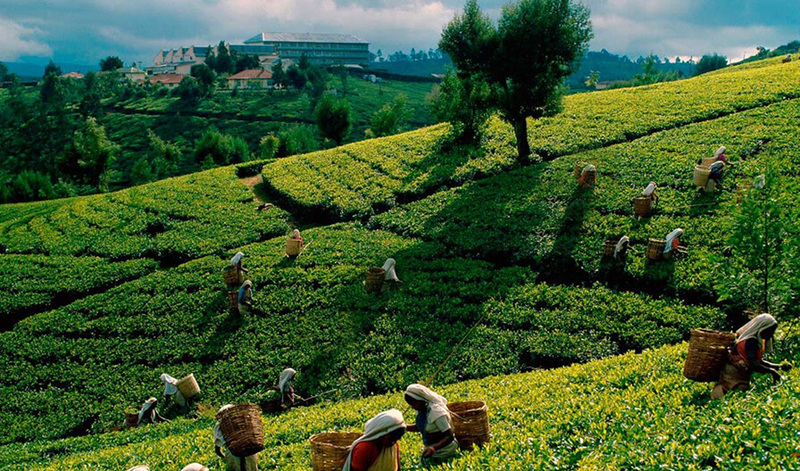 Sri Lanka has been influenced by a diversity of cultures and one of the most evident is the Dutch Burgher community. Lamprais, a word that combines the two Dutch words for “lump” and “rice,” is a combination of meat, rice and sambol chili sauce, wrapped into a banana leaf packet and steamed. The rice is cooked with meat stock — usually a combination of different meats like beef, pork or lamb — that’s infused with cardamom, clove and cinnamon. 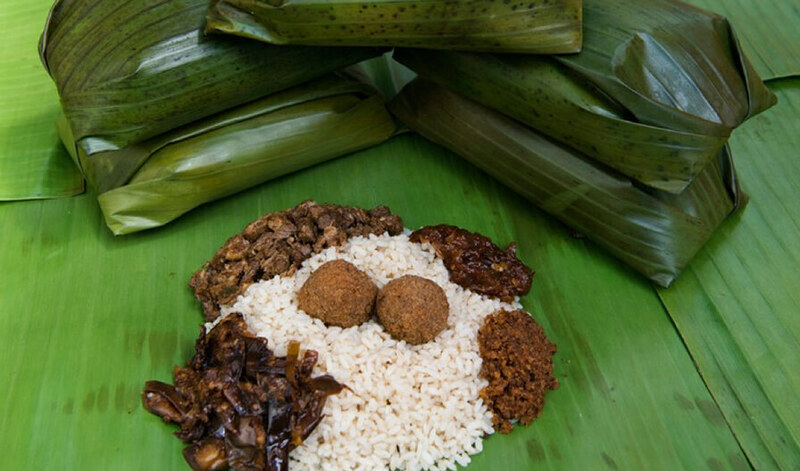 A scoop of rice is placed in the center of a banana leaf, along with the mixed meat curry, two frikkadels (Dutch-style beef balls), blachan (a shrimp paste) and a starch or vegetable, usually either ash plantain or brinjals. If you have a sweet tooth, you should definitely try jaggery, which is made from the crystallized sap of the Kitul palm. Sri Lankan fresh fruits are well known, and the list is endless – papaya, mango, mangostein, rambutan, pineapple, and the Durian fruit or wood apple, which is considered a great delicacy although it is quite smelly. 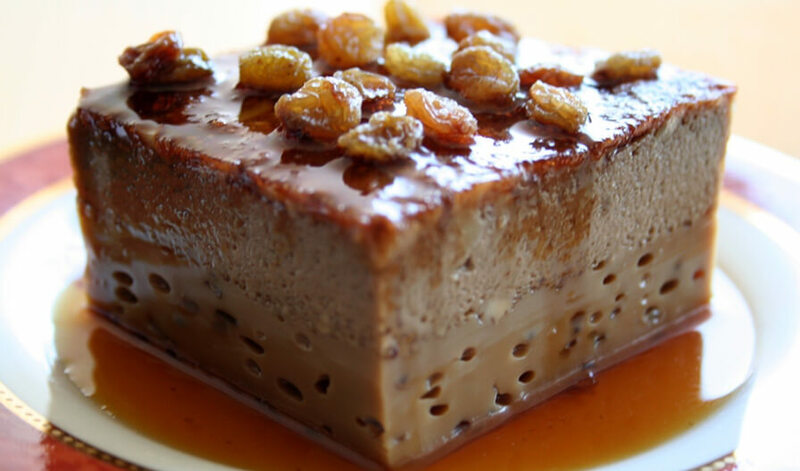 If you want a true Sri Lankan dessert, try a caramel custard, wattalapam, or curd and treacle. A few things about Sri Lankan food can be said with certainty: Sri Lankans thoroughly love spices, they love food that explodes with flavour, and many enjoy tasty deep fried snacks. Whatever you choose to eat in Sri Lanka, your mouth is going to rejoice with happiness. Colombo also has a wide array of international restaurants that cater to every taste bud. You’ll find something for everyone!